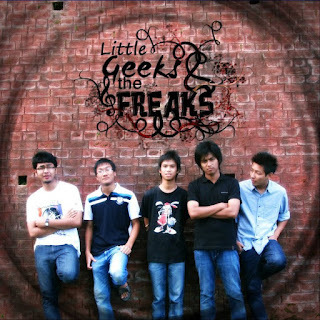 Haflong based Little Geeks and the Freaks are a dynamic and intriguing five piece who have all the elements to drum up a lot of attention and the fact that they’re still so fresh and young is more than just promising. They are without the shadow of a doubt- one of the next stand-out bands of this year with an energy and magnetism- that’s more than just tantalizing. Debut single ‘Crystal Elapse’ featuring Rainjong Lepcha (of Dark Horizon fame) on vocals is a solid manifestation of a smooth soaring melody packed with a solid splotch of heavy groove laden rhythm tides and a rabid drum attack. At a time when a sizeable majority of Independent bands from the region seem rehashed and worn out- this young bunch takes its stand as a concrete sounding, fresh and original act- one that’s soon going to get a lot of heads turning.